For the past few months, BIGBANG has been on tour all over Asia. The group has been performing their concert “1 to 10”, celebrating 10 years of promoting together. 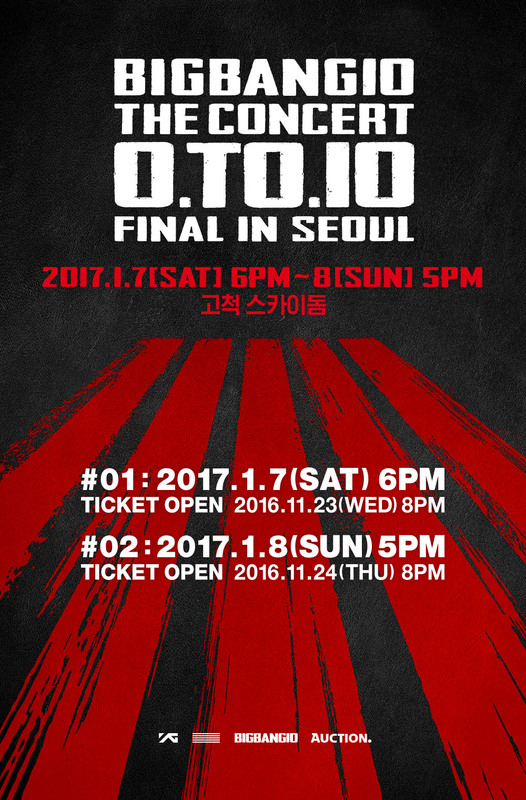 BIGBANG has just announced that they will be closing out the tour in their hometown of Seoul, with two days of “1 to 10” performances this coming January. The concert is set to take place at the Seoul Skydome on January 7 and 8 and tickets go on sale November 23 and 24 respectively, so be sure to check out the moonROK Tour Page for information on how to get tickets.